Mesa, Ariz: Optimum Technologies, a local Software as a Service (SaaS) startup, welcomes Cody Robey to the team as their second Business Systems Analyst. Cody spent six years in the United States Navy, where he served as a Nuclear Electronics Technician. He operated and maintained electronic systems and instrumentation critical to reactor safety onboard the $2.7 billion Virginia-class Fast-attack submarine USS Hawaii SSN 776. From his naval career, Cody is experienced in leadership, supervision of maintenance, reactors, electrical and mechanical theory, troubleshooting, nuclear chemistry, materials, radiological controls, formal work controls, soldering, and integrity. Cody earned his Bachelor of Science in Business and Information Systems from San Diego State University, where he studied Information Systems, Cyber Security, Planning, Analysis, Design, Implementation, Agile Development, CISCO Networking, Programming, Database Management, Project Management, Supply Chain Management, Reporting Techniques, Communications, International Business, and Ethics. 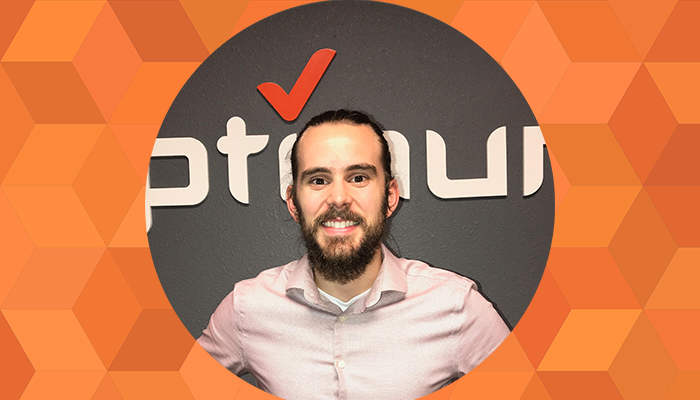 In his new role, Cody will be assisting with integrations within the OptimumHQ system, working under Customer Success Director Michael Garcia and with fellow Business Systems Analyst Brian Smith to assist with clients’ needs, overseeing client and internal training, and more. "We’re very excited to have Cody join the OptimumHQ team. He is an excellent team player and is already accomplishing great things," said Simon Chatfield, CEO of Optimum Technologies. Optimum Technologies has been experiencing steady growth since its official launch in January 2017.